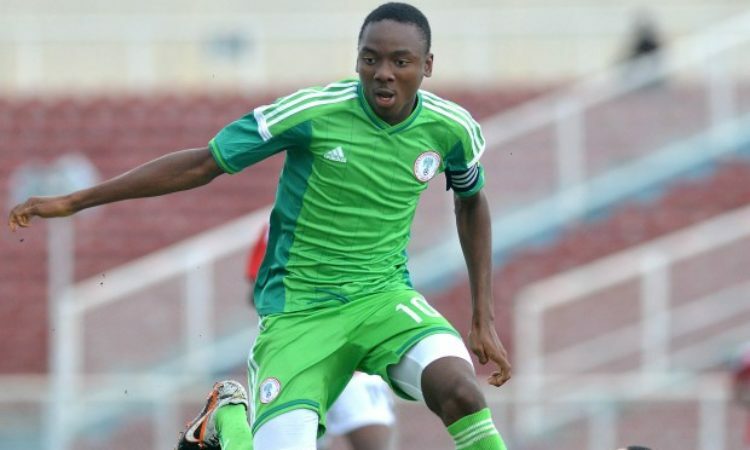 The Super Eagles midfielder Kelechi Nwakali was a delight to watch when his side Porto B recorded a 2-0 victory over Estoril in the Portuguese Segunda division league. The Nigerian midfielder was on top of his game throughout the 90 minutes of the fixture and was a delight to the supporters who made the journey to watch him play. In a post-match interview with the media, the former captain of the U-17 world cup team said: “I am so happy I made the starting lineup for my team FC Porto B, and I am excited because I played till 90 minutes elapsed, which is a good for me as a professional”. “Though it was a tough game against our opponent Estoril, they came out prepared. Knowing fully well we needed to grab the maximum points in the game”. “I thank God it played out well for us, we got the three points at the end of the day which was our sole target”. The Talented Porto B player when asked about his fate in the Super Eagles team, concluded by beckoning on Super Eagles Head Coach to afford him more playtime in the National team to prove his quality and talent. He said: “saying i do hope to have more playing time”.